Eight Partnership helped revitalise the Zung Fu brand through an updated visual identity and a comprehensive launch campaign for the rollout of its new Mercedes-Benz Brand Centre expanding the 65-year-old brand’s appeal to a new generation of car-lovers. 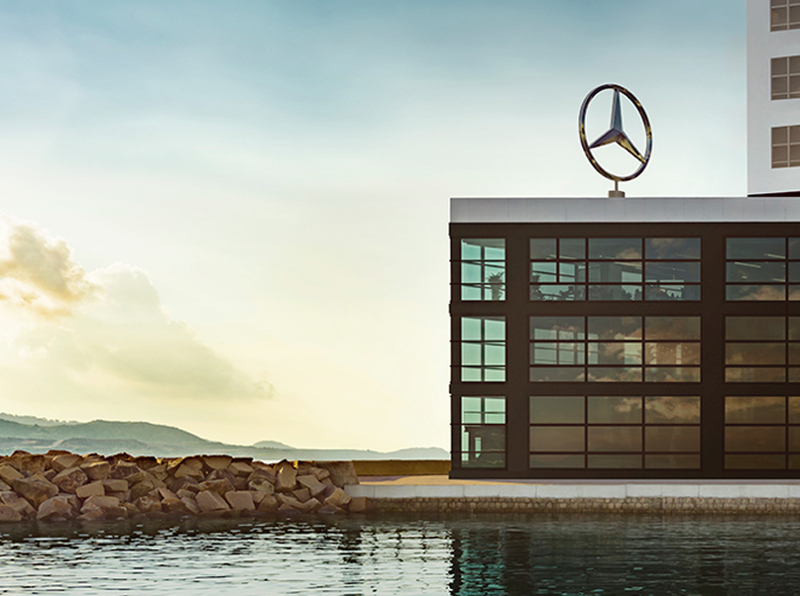 This rebrand is also timed with the launch of the new Mercedes-Benz Brand Centre on Hong Kong Island – the city’s largest car showroom – which demonstrates Zung Fu’s new commitment to customer convenience and enjoyment for the whole family. The 9-storey Brand Centre with over 440,000 square feet is the Hong Kong headquarter of Zung Fu Group, featuring the Mercedes-Benz Showroom, Service Centre, Central Parts Warehouse, Training Centre, Event Venue and Used Car Centre. The centre has been designed to give customers a more enjoyable experience with a large range of Mercedes-Benz vehicles available under one roof, a fully integrated after-sales service centre, as well as leisure facilities for the whole family such as the kids room, bistro and roof terrace.